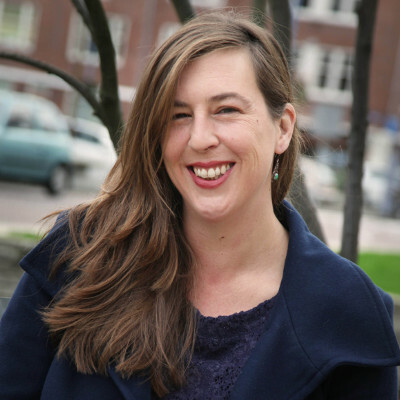 A couple of months ago I had the pleasure of introducing you to journalist and art historian Jennifer S. Alderson, author of The Lover’s Portrait, an art mystery about an American art history student who finds clues to the whereabouts of a collection of masterpieces hidden somewhere in Amsterdam, secreted away in 1942 by a homosexual art dealer who’d rather die than turn his collection over to a Nazi blackmailer. Well, all I can say is … do yourselves a favour and download a copy of this book NOW! 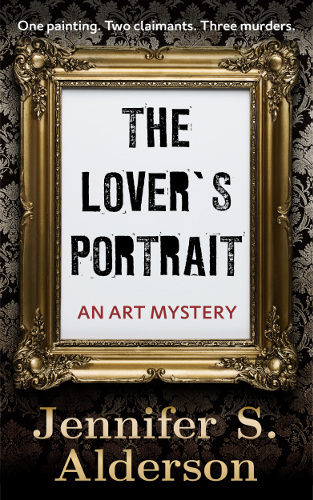 In my novel The Lover’s Portrait: An Art Mystery, the character Lex Wederstein is a young, talented Jewish artist whose career is cut short by the Nazis occupation of the Netherlands. Lex is based on a real person, the Dutch Jewish painter Moos Cohen. Because I am an American writing about sensitive topics in Dutch history, I didn’t dare make up any historical events or characters yet based them all on actual events and people I learned about while conducting archival research for the novel. Though most of the characters in my book are based on a conglomeration of several real people, Lex Wederstein shares Moos Cohen’s professional and artistic background and talent. Lex attended the same schools and was a member of the same organizations as Moos. He was also named a rising star by several important art schools and upon graduation was awarded a three-year-long stipend based on the quality of his portraits and landscapes. In 1939, Moos Cohen participated in the exhibition, ‘Contemporary Artists’ (Onze Kunst van Heden) held at the Rijksmuseum. That was his last public exhibition. When the Nazis began deporting Jewish citizens in 1942, he and his wife fled the country, hoping to make it to neutral Switzerland. They were arrested at the French-Swiss border and deported to Auschwitz. He was gassed on November 7, 1942. Three of his paintings are still part of the Stedelijk Museum Amsterdam’s collection. The most important difference between Moos Cohen and Lex Wederstein is their use of color. Moos Cohen was known for using a darker palette, I decided Lex would prefer paintings with vibrant, rich colors. Jan Sluitjers, a Dutch artist working in the Netherlands during the war, did use the bright colors my Lex would have. He is also one of my favorite painters, making him a natural choice for the inspiration behind Lex’s palette. The Jan Sluitjers mentioned at the end of the book is a combination of an actual Sluitjers hanging in the Jewish Historical Museum (Maannacht IV or Moon Night IV) and my favorite painting by Edvard Munch, Girls on the Bridge. Those two paintings merged in my mind to form the watercolor important to the last chapters of The Lover’s Portrait. In my novel, a portrait of a young woman sitting next to a vase of flowers entitled Irises is central to the plot. 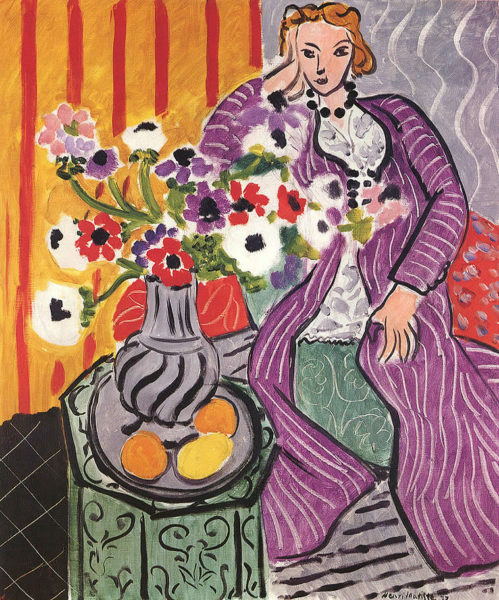 Of course the composition is not unique, a woman sitting next to a vase has been painted many times throughout history. However, the first poster I ever bought for my dorm room was of Henri Matisse’s Woman in Purple Dress with Vase of Flowers. The way she looks at the painter, with a mix of defiance and love, has stayed with me and was the inspiration for my model’s pose in the portrait Irises. Thank you, Rosa, for your interest and questions! I so enjoyed reading The Lover’s Portrait and it was a pleasure to share your book with my art- and book-loving friends!